When will be Monsters Inside Me: Brain Invaders next episode air date? Is Monsters Inside Me: Brain Invaders renewed or cancelled? Where to countdown Monsters Inside Me: Brain Invaders air dates? Is Monsters Inside Me: Brain Invaders worth watching? Bizarre symptoms strike three boys in different parts of the country that lead to chilling diagnoses; a collapsed lung, a mysterious coma and a brain-eating affliction have doctors racing to find the culprit. Teenage girls tend to confuse parents with their behavior from time to time, but one girl falls victim to bouts of crying, exhaustion and short-term memory loss; doctors soon make a chilling discovery that has her fighting for her life. The lake conjures up images of summer fun for boys all over the country, however, it also hides insidious bacteria beneath its depths that leaves one boy fighting for his life. College finals present a stressful time for students, but one bright and promising student begins to experience shocking symptoms ranging from migraines to sudden blindness. Monsters Inside Me: Brain Invaders next episode air date provides TVMaze for you. 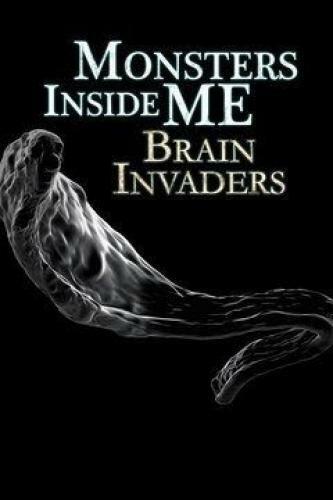 EpisoDate.com is your TV show guide to Countdown Monsters Inside Me: Brain Invaders Episode Air Dates and to stay in touch with Monsters Inside Me: Brain Invaders next episode Air Date and your others favorite TV Shows. Add the shows you like to a "Watchlist" and let the site take it from there.